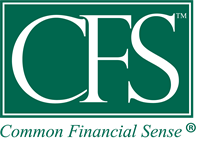 Greg Makowski | CFS Investment Advisory Services, LLC. Greg graduated from William Paterson College in 1981. He went on to become a Certified Financial Planner™ Professional (CFP) and an Accredited Investment Fiduciary (AIF). Greg became an adjunct faculty member at Fairleigh Dickinson University, teaching the CFP curriculum there as well as for the College for Financial Planning. While at Fairleigh Dickinson, Greg became the faculty chair coordinator for the entire University’s CFP program. Under his tenure, the program expanded from one campus to three campuses. In addition, he also authored a book on Estate Planning for Fairleigh Dickinson University and Roosevelt University for use in their CFP programs. In 1989 Greg founded CFS and became the New York Regional representative for the Investment Management Council (IMC) a division of Callan Associates. The IMC developed leading edge investment management programs for wealthy families and institutions. In 1995 Greg went on to help found the Select Advisors Council for SEI Investments. The Select Advisors Council is an organization of premier independent financial advisors that work with SEI to serve families and institutions in the $150 million market. Additionally, Greg was a founding member of the National Advisory Group, a “think-tank” of leading investment management firms located throughout the U.S. The mission of the National Advisory Group was to develop innovative investment management ideas for high net worth families, retirement plans, foundations, and endowments. Greg has served as an expert witness in both arbitration and litigation settings in the field of securities violations. He has appeared numerous times on television and has written articles for several leading newspapers and magazines. 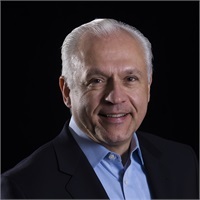 Additionally, Greg has spoken at national industry conferences on “The Looming Upheaval in the 401(k) Market” and “Succeeding in the Retirement Plan Business as a Fiduciary Plan Advisor.” He has been a panelist at William Paterson University’s “Distinguished Business Leaders Symposium” and “The Dean’s Stakeholders Conference”. Greg has been selected as a Five Star Wealth Manager* in New Jersey and is also recognized as one of the top advisors in the country by Barron’s magazine. Greg has served on the Supreme Court of New Jersey District XI Attorney Ethics Committee and has been a board member of the Catholic Family and Community Services charity in the diocese of Paterson as well as serving as a trustee of Fisk University in Nashville, Tennessee. *Winners of the 2003 Bloomberg One of the Top Managers in the Nation award were chosen based on assets under management and firm growth. This award is not representative of investment performance or returns.